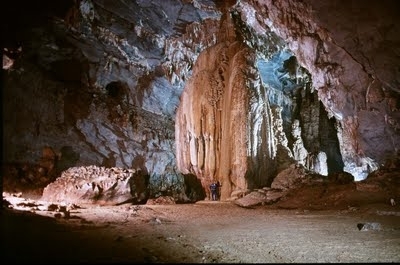 Phong Nha Caves are the complex of 14 grottoes situated in a region of limestone mountains in Ke Bang National Park. 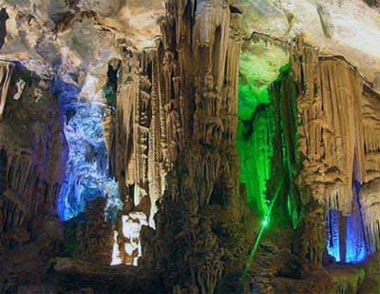 Phong Nha Cave have a total length of 7,729 m. Phong Nha Cave were listed as a World Natural Heritage Site in July of 2003 by Unesco. 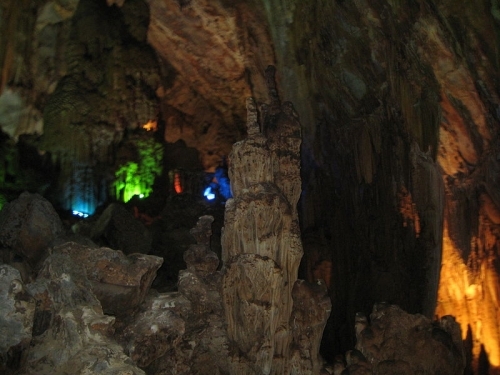 The Cham People has used Phong Nha Cave as Buddhist sanctuaries in the 9 and 10 centuries. Visit the cave, you will have a chance to explore the remain of Cham altars and inscriptions inside the cave. Cruise to Phong Nha Cave. Ke Bang National Park that derives it name from Phong Nha cave, the most beautiful of all, containing many fascinating rock formations, and Ke Bang forest. MORNING: HUE - PHONG NHA CAVE. 06.30am start Hue - Phong Nha Cave 1 Day Tour: Tourist bus or private transport and guide pick you up at your hotel, take you to go to Phong Nha – Ke Bang National Park. 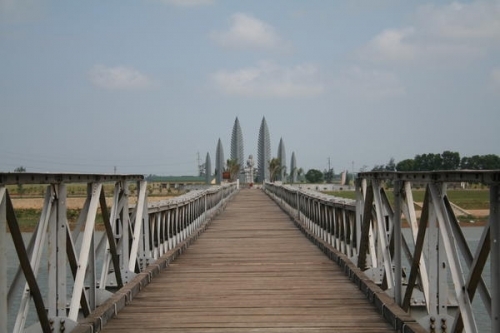 On the way, tourist will be introduced Hien Luong Bridge and Ben Hai River where Viet Nam country was bisected between Southern and Northern (keep seating on the bus or private transport and listen to tour guide). Coming to Phong Nha restaurant, having lunch and relaxing. AFTERNOON: PHONG NHA - HUE. Cruising on Son River to Phong Nha Cave (wet cave) - A immortal place with some shape of the beautiful stalagmites and listed in UNESCO’s World Heritage Sites in 2003. On the boat, tourist will feel comfortable with fresh air and the wonderful landscape. After visiting Phong Nha cave - Hue, we come back Hue city on Ho Chi Minh Legendary Road. Arrive Hue city about 07:00pm . 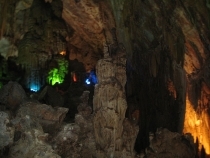 Finish Hue - Phong Nha Cave 1 Day Tour. Boat trip in Phong Nha cave. Private transport and entrance fees. Please provide name of hotel and hotel address in Hue City, Vietnam where we can be free pick-up. We will free pick-up and drop off at hotel in Hue City.